These days, everyone thinks they can be a superhero (or write a blog). It seems like a new vigilante springs up almost as often as a certain ubiquitous coffee chain. But you are special; you have something that Kale Girl, CrossFit Boy, and Insta Man don’t...classic superhero style and authenticity. Therefore, we hope you won’t even think about suiting up as Batgirl without the right accessories--there are a lot of hacks out there, but you are not one of them! 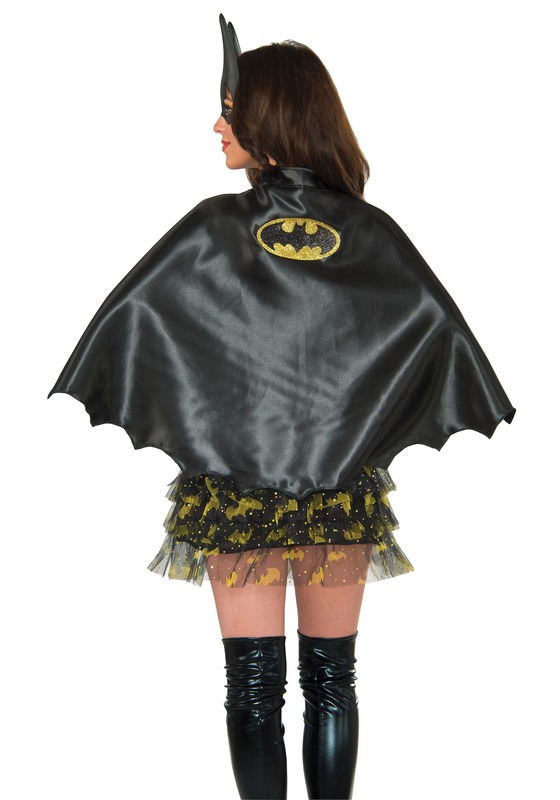 Nope, you are an original--dress the part and top your uniform in this classic Batgirl Cape. A superhero without her cape is, well, just ask Kale Girl how that’s going for her. Once you have got this licensed and logo-adorned cape on, you will be ready to fly into the night, helping out Batman or starring in your own Gotham adventure!